As a personal chef, catering special events is a fun opportunity and a break from cooking in client's kitchens. Consulting with the client to hear what they're envisioning and helping them to bring that idea to life is an amazing feeling. Every event is diffferent and unique in it's own way, which pushes me to think outside of the box and come up with new ideas. · Do your guests have an adventurous palate? Will they enjoy spicier options and try different dishes that they might not have had before? Think of what your guests will like when selecting a menu and not necessarily what you would pick. Same goes for alcohol and other drinks! · Serve a variety of side dishes i.e. veggies/fruits, salads, less than healthy “comfort” foods to appease everyone. 3.) Consider providing menu alternatives to accommodate special dietary needs – if you know one of your guests has a dietary restriction (gluten intolerance, vegetarian, lactose intolerant, etc.) come up with a dish to offer them. Consult with the chef who is catering the event as they might be able to tweak a dish that you're offering everyone else. They'll also appreciate the heads up! · Fresh, local produce & ingredients are often less expensive when in season and can help tailor your menu selections. · Even if you are having a small gathering of guests, having a rough timeline of the night will help you and whoever is catering your event. It takes away from both parties guessing or assuming incorrect information and you can relax with your guests knowing that you are on the same page. This also can help take away any unrealistic expectations. Being on the same team makes a big difference! Follow these tips and enjoy a successful event that your guests will enjoy and remember for a long time. It’s important for us to regularly network and connect with businesses in the area. You never know who you’re going to meet along the way! 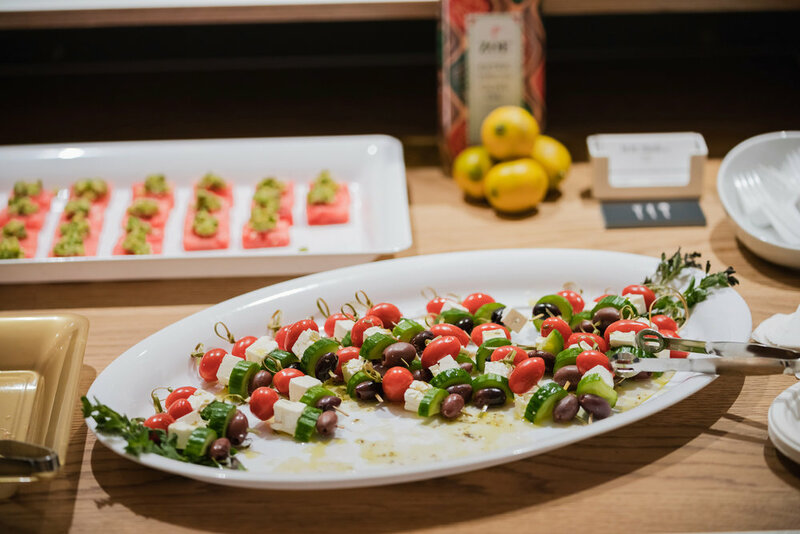 Creating Your Life on Purpose Event-Greek Skewers!